One of the best cinematographers in the world is Roger Deakins. If you look over his amazing resume, you’ll see he’s shot so many memorable films, you’d be hard pressed to have not seen at least a few of them. Some of the standouts include The Assassination of Jesse James by the Coward Robert Ford, No Country for Old Men, The Big Lebowski, The Shawshank Redemption, Prisoners, Skyfall, Fargo, Unbroken, and True Grit. With Deakins having shot Denis Villeneuve’s fantastic new drug war thriller Sicario, which is now playing in limited release (read Adam’s review here), I recently spoke with Emily Blunt, Josh Brolin, and Benicio Del Toro about working him. In the video below you can watch the three actors reveal what it was like collaborating with him on set and you can find out which of them was convinced to make the film because of Deakins. 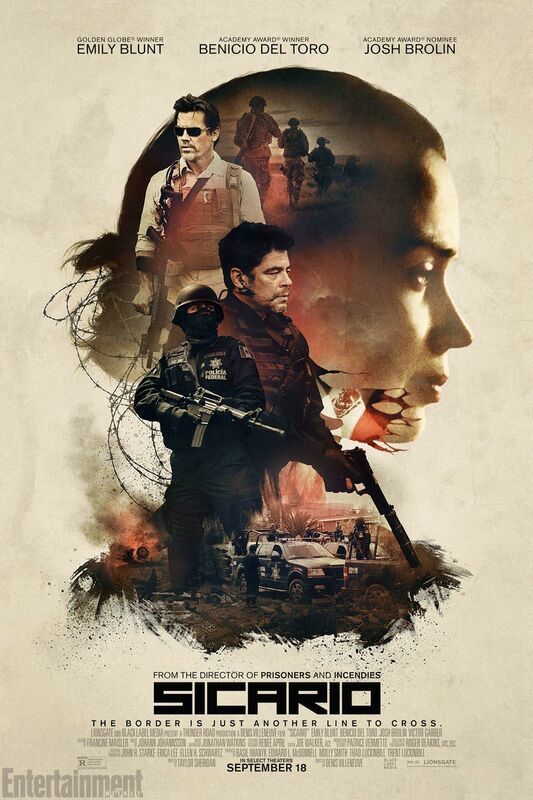 Finally, Sicario is one of the best films I’ve seen this year, and Adam agrees that it’s a serious awards contender in a number of Oscar categories. Do yourself a favor and check this one out while it’s in the theaters. You’ll be very happy you did. For more on Roger Deakins, you can watch my exclusive video interview with him on Sicario, his career, and Blade Runner 2 here. Here’s the official Sicario synopsis.